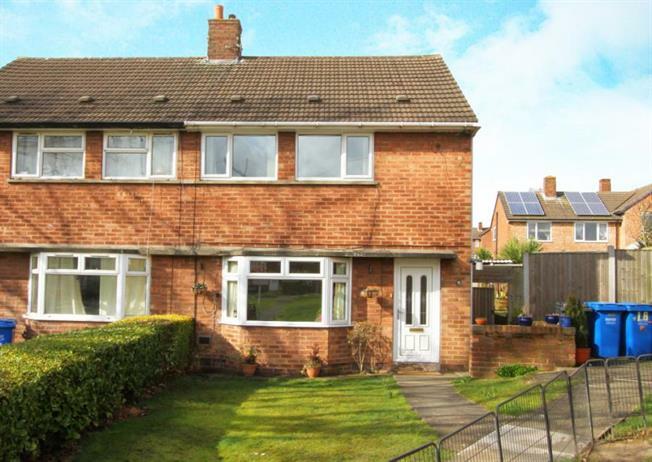 2 Bedroom Semi Detached House For Sale in Chesterfield for Guide Price £110,000. Do not miss an opportunity to view this well presented and spacious bay fronted, two bedroom semi detached property in the popular area of Dunston. The property comprises: entrance hall, lounge with bay window and inset fire, a modern kitchen diner with a range of wall and base units, built in electric oven, electric hob and extractor hood and integrated appliances, with access to the upstairs cupboard. To the first floor: Two nice size double bedrooms and family bathroom with three piece suite with shower over bath, low flush w.c, and wash hand basin. To the rear of the property is the good size enclosed rear garden which is mainly laid to lawn with a patio and a decked seating area . The property is situation in Dunston and is ideally placed for bus services, transport links to the M1 motoway and is a short distance from local shops and amenities. To enquire please call 01246 208768.